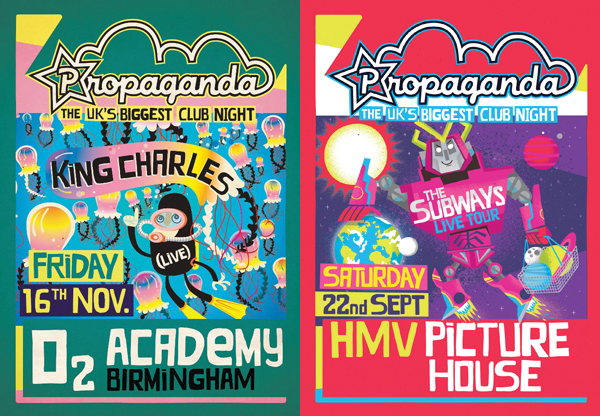 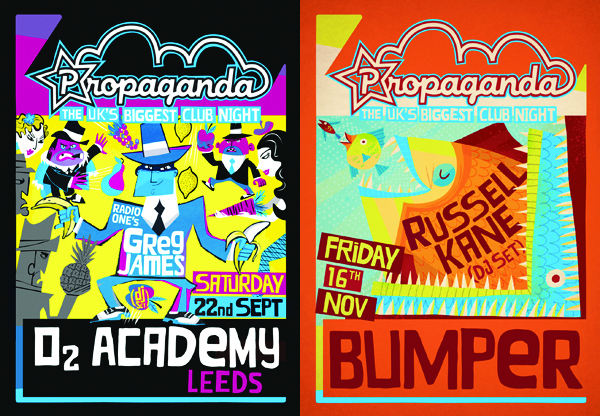 Propaganda- The Uk’s biggest club night asked me to create artwork to brand their guest flyers for their 2012 Freshers campaign. 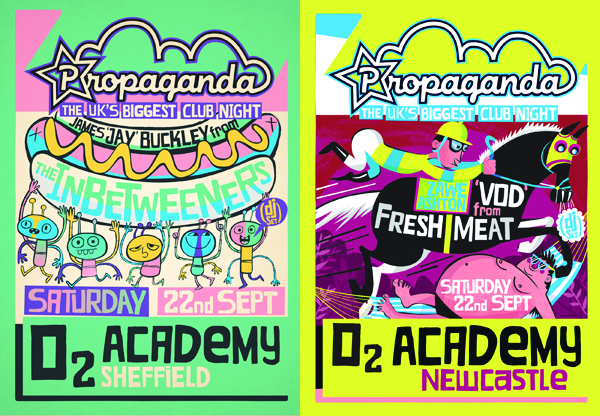 It was important that I captured the fun, youthful and energetic spirit of the brand whilst making each flyer significantly different to each other. 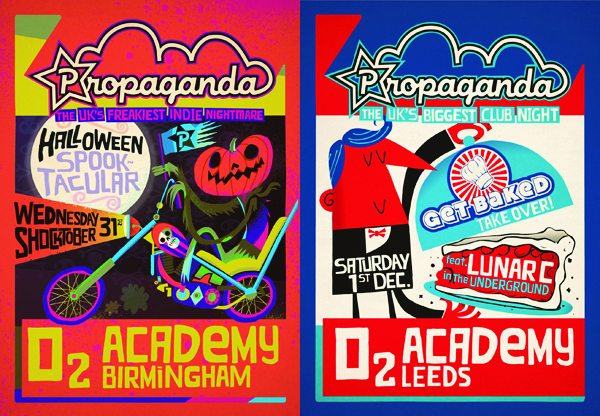 I really enjoyed to creative freedom designing the content of each of illustrations for this commission.